You might wonder what could possibly make a trip to Midcoast Maine even better. With so many exciting activities and attractions, it’s a vacationer’s paradise. Well, if you visit in autumn, you can enjoy an incredible, scenic backdrop to all of your adventures. In the peak of Maine’s fall foliage season, you can find yourself surrounded by vibrant shades of red, orange, and gold. Not many places in the United States come close to matching Boothbay Harbor’s natural beauty at the end of September and October. Find out how to make the most of this remarkable season with some of our favorite activities. You can also download our free Vacation Guide to learn about exceptional year-round opportunities. The name says it all. When you take the time to check out the Annual Fall Foliage Festival, you can take part in a festive celebration of everything autumn. Held in October each year, this is the perfect opportunity for a memorable experience just as the leaves are transitioning to their peak colors. 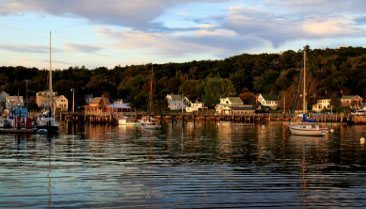 Head over to the Boothbay Railway Village during Columbus Day Weekend to see artwork from talented local artists, explore historic buildings, and listen to live music. You can even step aboard an old steam train for a unique adventure. Another fantastic autumn adventure can be found along the Maine Wine Trail. With over 20 excellent wineries, you’re sure to have a great experience and find a new favorite wine. Due to Maine’s climate, our local wineries feature some unique, delicious flavors. Stop by some of our favorites, like Cellardoor Winery, Sweetgrass Farm Winery and Distillery, and Savage Oaks Vineyard and Winery. Not only can you sip on exquisite beverages, but you can also tour the scenic landscapes while you’re there. Maine is known for our lighthouses, and for a good reason. There are over 60 of these beautiful structures, earning us the nickname of the Lighthouse State. Enjoy the best of both worlds as you discover a bit of history while exploring the area. You can visit Burnt Island Light, Hendricks Head Lighthouse, and, of course, Pemaquid Point Lighthouse. 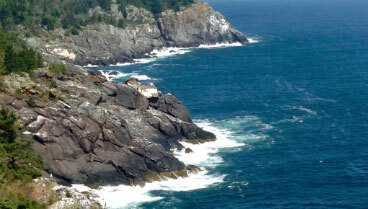 The list goes on, and you can see them via boat tours, scenic drives, and from some incredible vantage points along the coast. Take a ride on one of three local schooners to experience autumn’s beauty by sea. Our Schooner Sail package is available until Columbus Day each year, providing the perfect opportunity for nature lovers and leaf peepers. According to the seasonal map, this is one of the prime dates to see Maine’s fall foliage. Feel the crisp fall air rush through your hair as you revel in the sights and sounds of Midcoast Maine. Of course, you can always enjoy a classic hike through the area, and there are plenty of magnificent local parks to do so. Midcoast Maine features a long list of serene destinations for hikers, including Camden Hills State Park. Lace up your hiking boots and remember to bring a camera, because this atmosphere is perfect for an afternoon adventure. There are some breathtaking vistas as you journey along the trails. Don’t forget to consult the trail map to choose your ideal route. 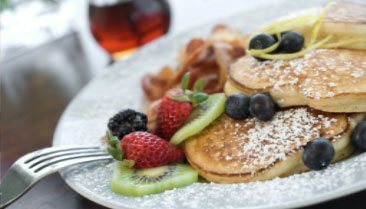 Whether you need a comfortable place to rest after these activities or you’re looking for a low-key, relaxing experience, Topside Inn is perfect for a Maine vacation in the fall. 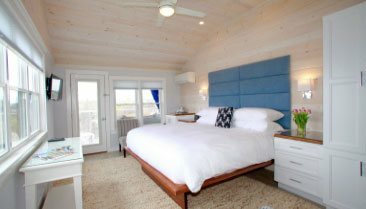 We offer the finest accommodations in Boothbay Harbor with contemporary, coastal-themed rooms and suites. Wake up to stunning sunrises, enjoy harbor views from private balconies, or pull up a chair on our lawn for panoramic vistas. Our location on top of McKown Hill provides an unmatched vantage point for fall’s beautiful colors. 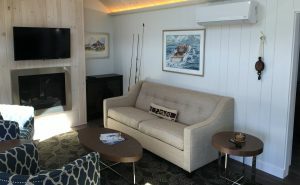 Our Suite is the ideal spot for a peaceful autumn getaway in Boothbay Harbor, ME. It’s been recently renovated and features a king-size bed, plenty of natural light, and a private porch to relax on cool afternoons. There’s even a fully-equipped kitchen and spacious living area. Check our availability and start planning your Midcoast Maine escape today. We look forward to welcoming you to the Topside Inn. Are you looking to make the most of your trip? Don’t forget to grab your free Vacation Guide to Boothbay Harbor to discover our favorite restaurants, historic sites, outdoor adventures, and more.